Brendon O’Connor isn’t the excited type. Despite his high energy levels on the pitch and unquestionable work ethic, the 29-year-old is as laid back as it comes away from the action. 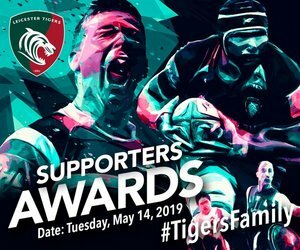 A man of few words, who speaks louder through his actions, the Tigers back-rower quickly became a fan favourite in Leicester when he arrived from New Zealand four seasons ago and has remained one ever since. 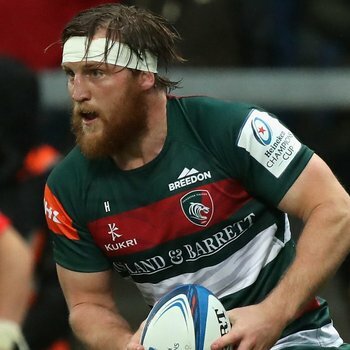 "It has come around pretty quickly ... it's a huge honour to have played 50 games in the Premiership"
In his first performance, a European tie against Stade Francais at Welford Road in 2015, O’Connor helped Tigers to victory with a try on debut and admits he couldn’t have asked for a better start. “I remember my debut well, it couldn't have gone better - a win and try on a European night at Welford Road,” he recalls, sitting in his spot in the changing room at Oval Park. Unsurprisingly, that’s about all he says, of what he claims to remember well, when asked about his first appearance in the red, white and green of Leicester Tigers. Despite the long, tired beard and relaxed fashion sense, O’Connor is not a veteran and nowhere near approaching the end of his time as a player, but did reach a double milestone in the club’s most recent match against Exeter Chiefs. O’Connor started the match in the unfamiliar No.8 shirt, with his good mate Mike Williams wearing his beloved No.7, as Geordan Murphy fills the hole left at the back of the pack by the suspended Sione Kalamafoni. 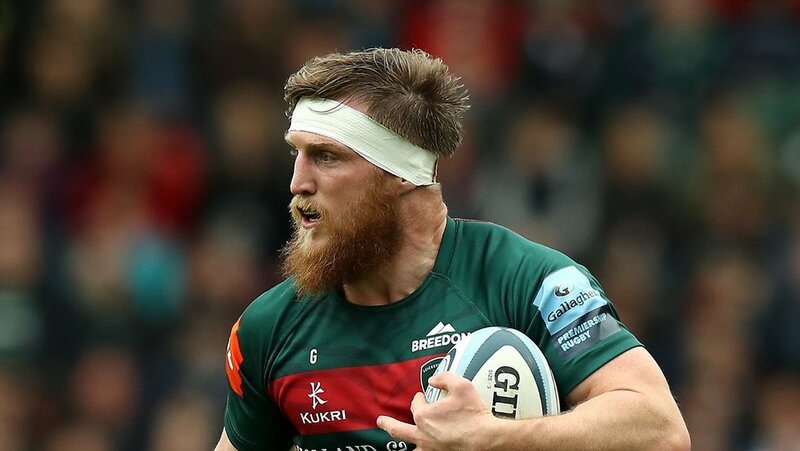 “There's no lack of effort here, we're all giving 100%"
The milestone wasn’t the switch of shirts, but actually a half century of appearances for O’Connor in Premiership rugby and doubled as his 70th game for the East Midlands club. As for O’Connor’s thoughts on the achievements, they were uncharacteristically emotive. Well, for him at least. “It has come around pretty quickly, I certainly didn't know it was at that number, but it's a huge honour to have played 50 games in the Premiership,” O’Connor says, sipping a flat white made for him by another close friend – and, like Williams, golf buddy – Matt Toomua. When quizzed about the round number of 70 appearances to his name, the understated O’Connor brought this optimistic interview back to earth with his modesty shining through. “It's not so much a milestone as it is a nice reminder that I've been lucky to play so many times for this club,” O’Connor says through a smirk. As the back-rower opened the door to a chat about the club, and with attempts at looking back on his time as a Tiger seemingly exhausted, we pressed the straight-talking O’Connor for his thoughts on the current situation and final weeks of the season ahead. Refreshingly, the back-rower’s honesty and straight-talking approach provides an answer fans will be proud to read. “We're not where we want to be – not at all,” O’Connor says, lifting his eyes up from the hot drink and straight towards us. Just when we think he’s said all he believes necessary, the back-rower throws a spanner in the works by adding even more to his response and adding more and more reasons as to why he has remained that fan-favourite since his starring debut. O’Connor finishes his coffee, stares back and – with his trademark look – fills us with pride that he is one of those out there, each day, representing the Tigers Family.